I asked my favorite bloggers a few very important book related questions about summer. First, what is your favorite beach read of all time? And secondly, what book(s) will absolutely be in your beach bag this summer? I got so many awesome responses, I will be breaking them up into two posts, so keep your eye out tomorrow for more! 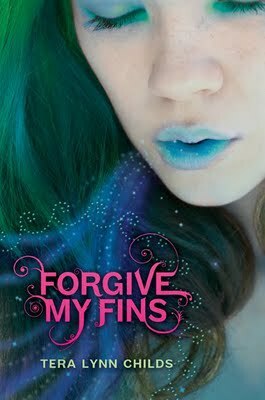 When I asked Melina from Reading Vacation what her favorite beach reads are she said that Forgive My Fins by Tera Lynn Childs, Moonglass by Jessi Kirby and Where I Belong by Gwendolyn Heasley are her favorites. Melina also said the books that will be in her beach bag this summer are Fins are Forever by Tera Lynn Childs and The Magnolia League by Katie Crouch. *Melina has included a few books that I definitely want to read this summer; I even have three of them sitting on my shelf just waiting to be read. I especially can't wait to read Moonglass. Hopefully I can while I am at the beach! Summer Rental by Mary Kay Andrews - I have been wanting to try Mary Kay Andrews's books for awhile and the title drew me to this one. It just sounds like a good beach read. Uncommon Criminals by Ally Carter - Ally Carter's books are usually funny and this series involves travel too. I can't wait to read this one. Sisterhood Everlasting by Ann Brashares - The teens from the Sisterhood of the Traveling Pants series have grown up and are now reuniting in Greece. I can't wait to see where life takes them as adults! *Great list, Christina! I hear you about needing a bag with wheels for all your books. Thank GOD they invented the e-reader or I would definitely look like a crazy book/bag lady! Nina from Jadore Happy Endings says, "I really loved reading Getting Revenge on Lauren Wood by Eileen Cook. At first you really want that Lauren is going to get what she deserves, but as the story progress you kind of feel sorry for her. It’s fun, light and a easy read. I almost forgot to say that the things Helen does to make Lauren look silly are just hilarious. Def. one to recommend to read in the Summer." When I asked Nina what books will be in her beach bag this summer she replied, "I still have not finished the Discworld series by Terry Pratchett, so probably a few of them. Also I am participating in Young Adult Series, so a lot of books that are part of a series. Like: Sugar and Spice by Lauren Conrad, all of the Pretty Little Liars series books by Sara Shepard, Wondrous Strange and a lot more." *Thanks for the recommendations, Nina! I haven't read most of these, but I am familiar with Pretty Little Liars from the TV show. It's such a guilty pleasure....I'll have to read the books now! Meg from writemeg! 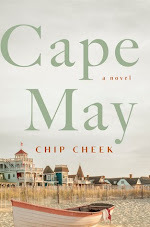 says, "My family’s annual beach vacation to the Outer Banks of North Carolina is the traditional backdrop for my summer reading – and the books I take with me are carefully chosen in advance! To date, my favorite beach read would have to be Morgan Matson’s Amy & Roger’s Epic Detour. 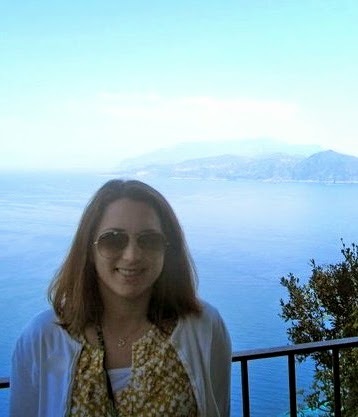 The sunny, adventurous and romantic book was addictive and got me perfectly in the mood for last year’s June vacation. I devoured it while lounging on the deck of the beach house with a summer wind whipping through my hair, and I had one of Roger’s soundtracks buzzing in my head the whole week." When I asked Meg what will be in her beach bag this summer she replied, "In my beach bag this year is sure to be Megan Crane’s I Love the 80s, which looks like just the sort of fun, breezy read I crave during a break. I’ll also be tossing in Mia King’s Sweet Life and Megan Karasch’s Tales From My Hard Drive (lots of Megans!). And since I usually drop in a last-minute choice for the six-hour drive to and from OBX, a mysterious as-yet-to-be-determined read will probably wiggle its way into my bag, too." *I love Amy & Roger's Epic Detour, Meg! It's definitely one of my favorites too and I really enjoyedSweet Life, especially since it takes place in Hawaii. Enjoy the Outer Banks this summer; I'll be there too! Juju from Tales of Whimsy said her favorite beach read is Sea Change by Aimee Friedman. Also, Juju shared with me that she will definitely be bringing Sisterhood Everlasting by Ann Brashares to the beach this summer. *Juju and I have similar taste, because I read and enjoyed Sea Change last summer while at the beach. I also can't wait for Sisterhood's final installment! I had no idea there was going to be another book in the series until a few weeks ago. So exciting! Thanks for checking out some of my favorite blogger's responses to my summertime questions and a big thank you to Melina, Christina, Nina, Meg and Juju for contributing. I appreciate it! Be sure to check out their blogs; they are fabulous! Tomorrow stop by to read responses from more of my favorite bloggers. I've got answers from Leanna from Daisy Chain Book Reviews, Kim from The Book Butterfly, Jenny from Supernatural Snark, Jamie from The Perpetual Page-turner and Carrie from In the Hammock Book Reviews and of course, my answer as well! Meanwhile, let me know what you think of everyone's favorite beach reads and their beach bag must haves for this summer. Ooooo so many books on this list I haven't read yet! 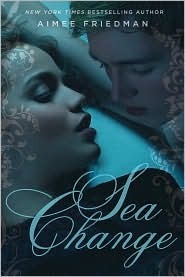 I want to read the Tera Lynn Childs mermaid series, I've heard their really cute books:) And Sea Change looks fabulous as well. I need a vacation so I can read all these! Great post, I've just added a bunch of books to my beach bag wish-list now. I'm looking forward to tomorrow's post. I've definitely found some new books to add to my list like Moonglass, Where I Belong, and Sea Change. Thanks for the opportunity to participate! Lots of great books to add to my summer reading list! 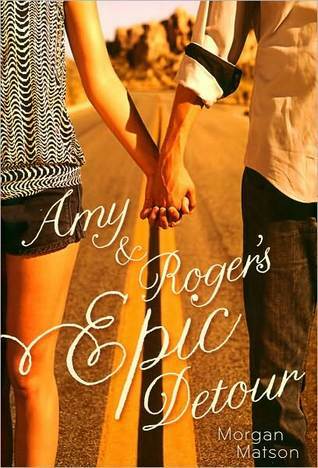 I'm particularly excited to read Amy & Roger's Epic Adventure. I've been hearing such good things! AWESOME list everybody! It was an honor to be included. I really like the inclusion of your favorite beach accessory with your favorite beach reading material. Can't wait to hear more about them in the second post. I'm not sure I have ideal beach reading material, and for whatever reason when I think of reading on the beach, I think of the old Jimmy Stewart movie, "Mr. Hobbs Takes a Vacation," where the blonde floozie character vying for Mr. Hobbes' attentions brings War and Peace to the beach to impress him. It's probably the worst conceivable beach reading outside of maybe Crime and Punishment. Someday I want to bring War and Peace to the beach for no good reason, but maybe I'll hide it on my kindle. Oh there are some awesome books listed here. I'm dying to read Forgive my Fins, Amy & Roger's Epic Detour and Moonglass. Oh how these books are making me long for summer. I agree that Bloodlines is definitely a must-have! The others look great too! Yay! So many great reads here -- I second the recommendation of Sea Change. It's the perfect book for summer!